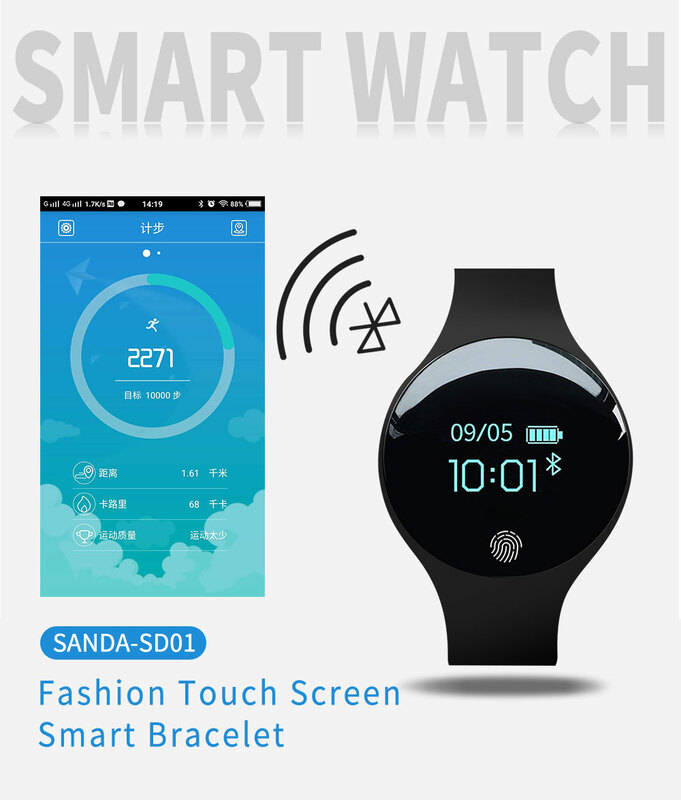 The principle of smart watches is like smart phones. 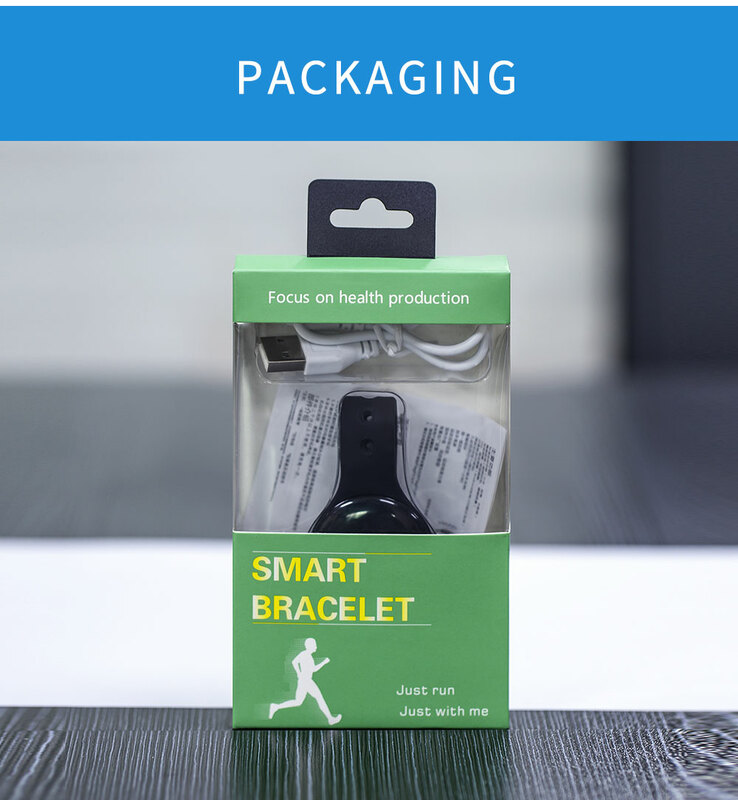 If you don’t use them often, bracelets can stand for 3 to 5 days. 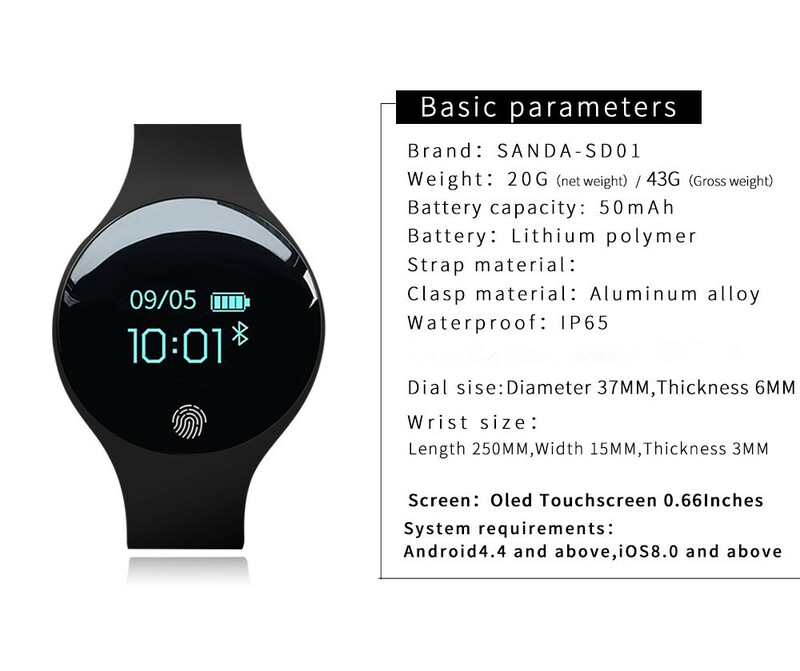 If you use it regularly and turn on all the features, the bracelet battery will normally last 24 to 72 hours. 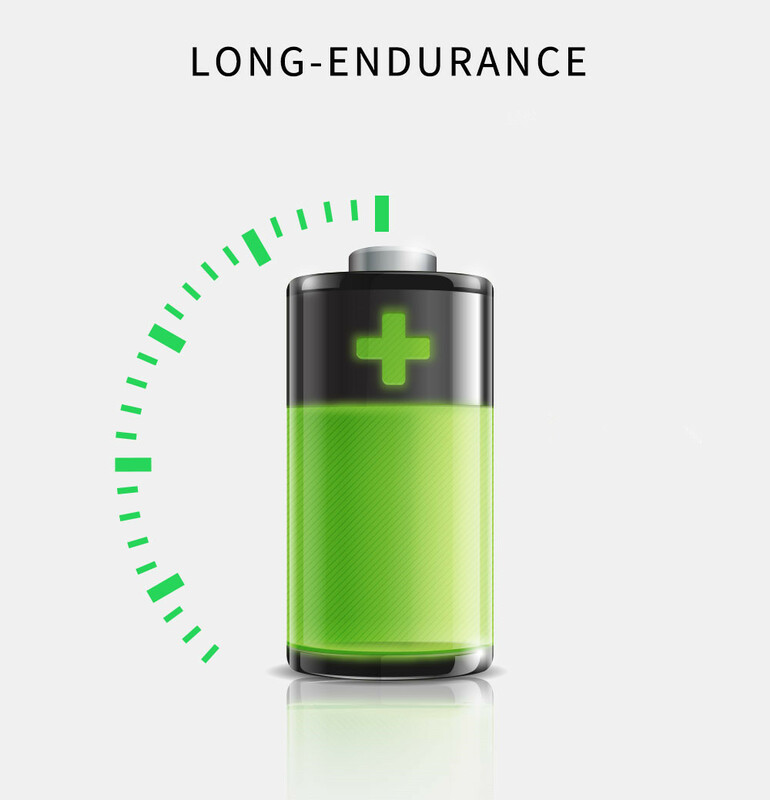 The standby time of battery is determined according to the frequency of your use. I hope you can understand it. Of course, after the battery is used, you can charge the battery again. NOTE: Dear friends, our watches are undergoing strict quality checks before they are shipped. 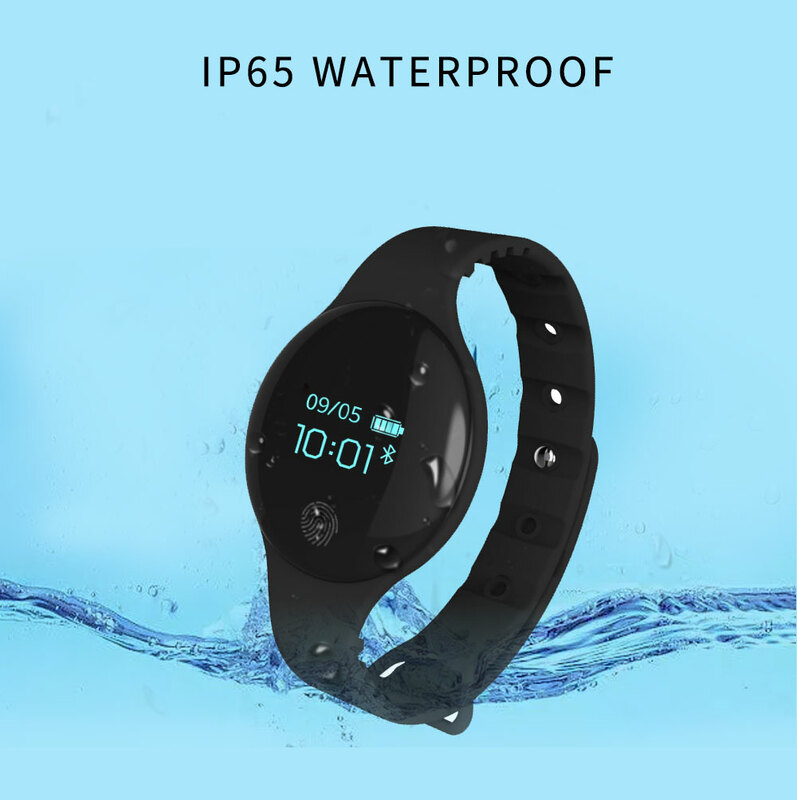 Make sure that each watch can successfully link to the phone Bluetooth, and the battery standby time is more than 48 hours, so you can buy with confidence. 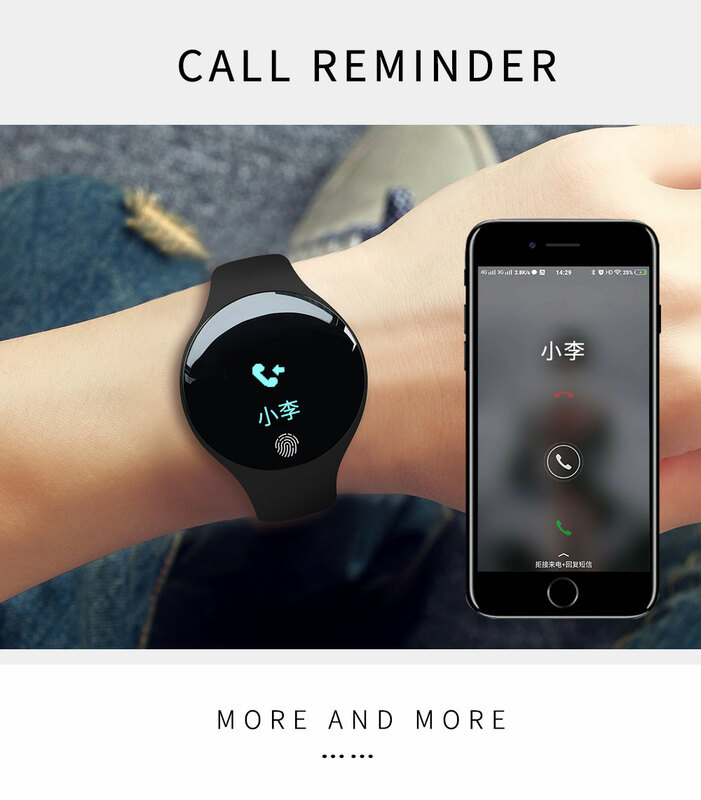 Of course, if you have any dissatisfaction after receiving the watch, please contact our customer service first, we will provide you with good service and solutions. Please do not open the dispute or give us negative feedback. Please believe that we will solve the problem for you. Thank you, best regards! 1. 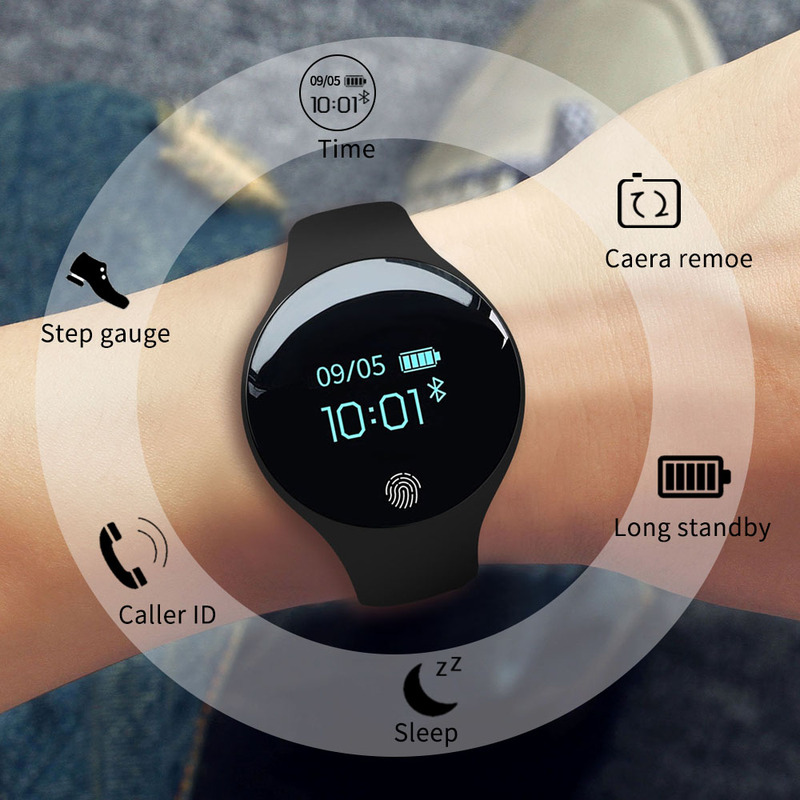 Why do not connect on the watch? 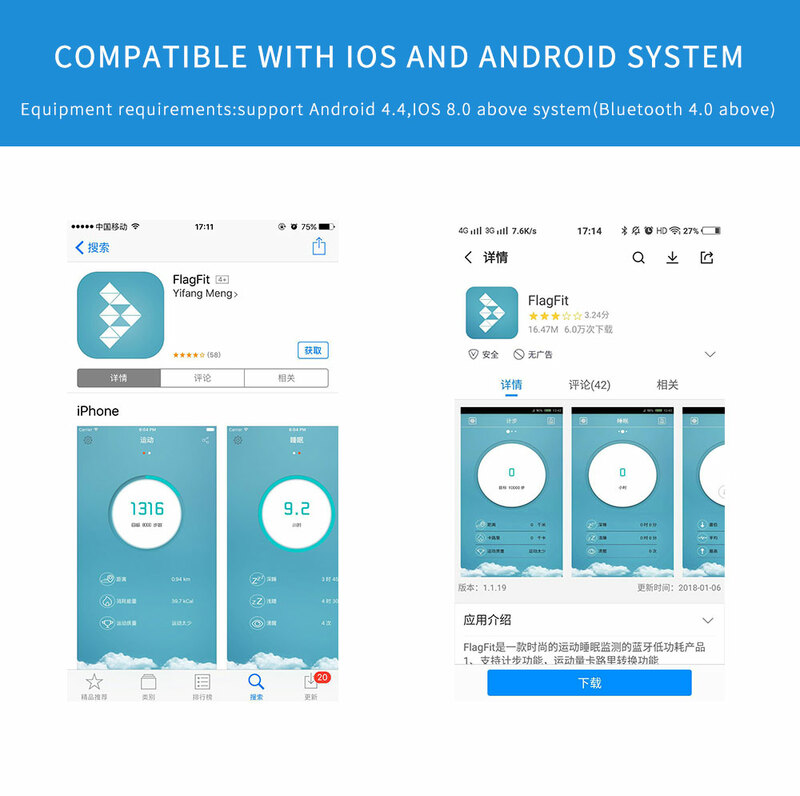 ①Please search and download the “FlagFit” APP in the app store first, or scan the two-dimensional code on the back of the watch box to download “FlagFit”. ② Please confirm that the bracelet has been switched on. 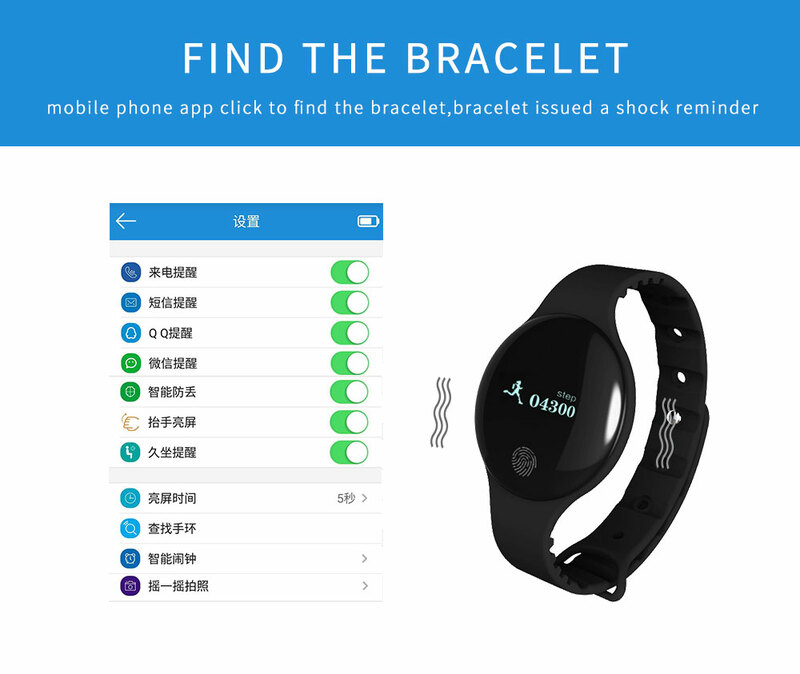 ③Please confirm the bracelet in the vicinity, and there is power. 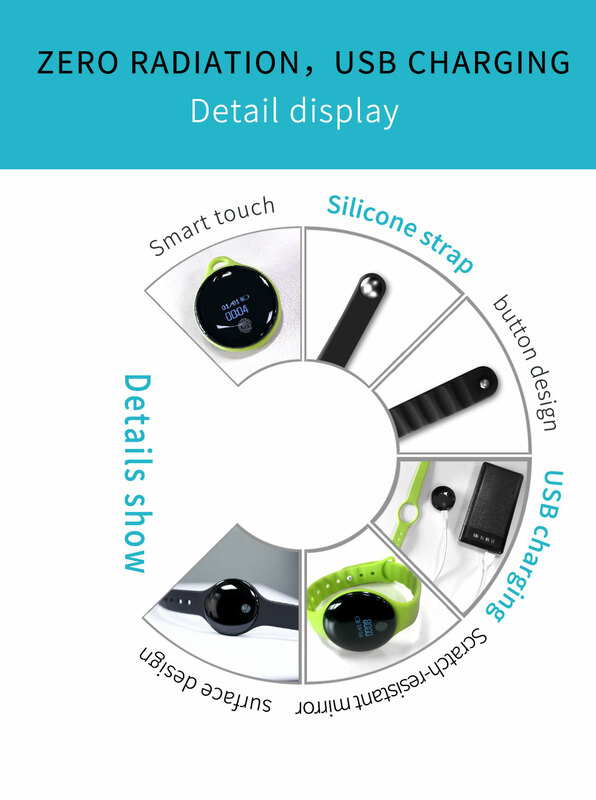 ④First look at the bracelet device is connected. 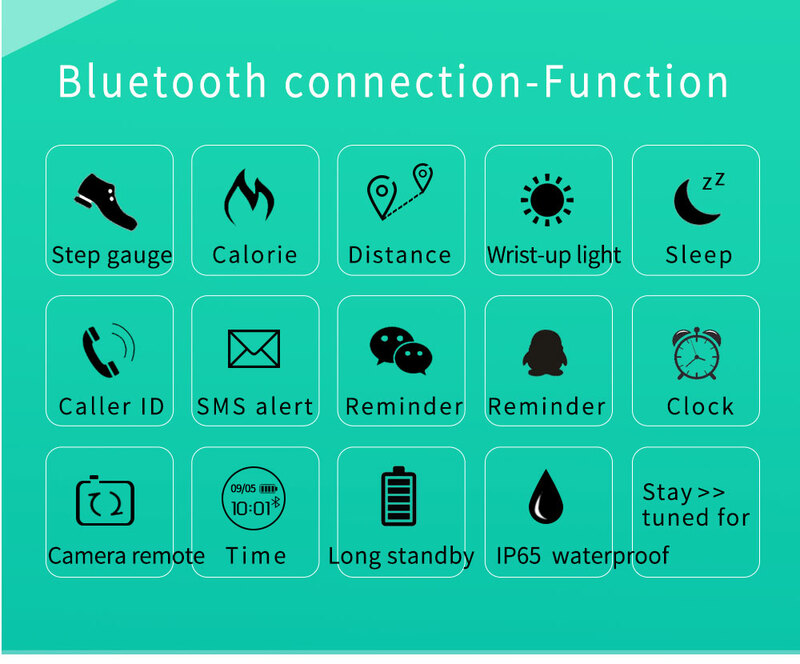 In the phone Bluetooth settings, you will see all the Bluetooth-enabled devices. 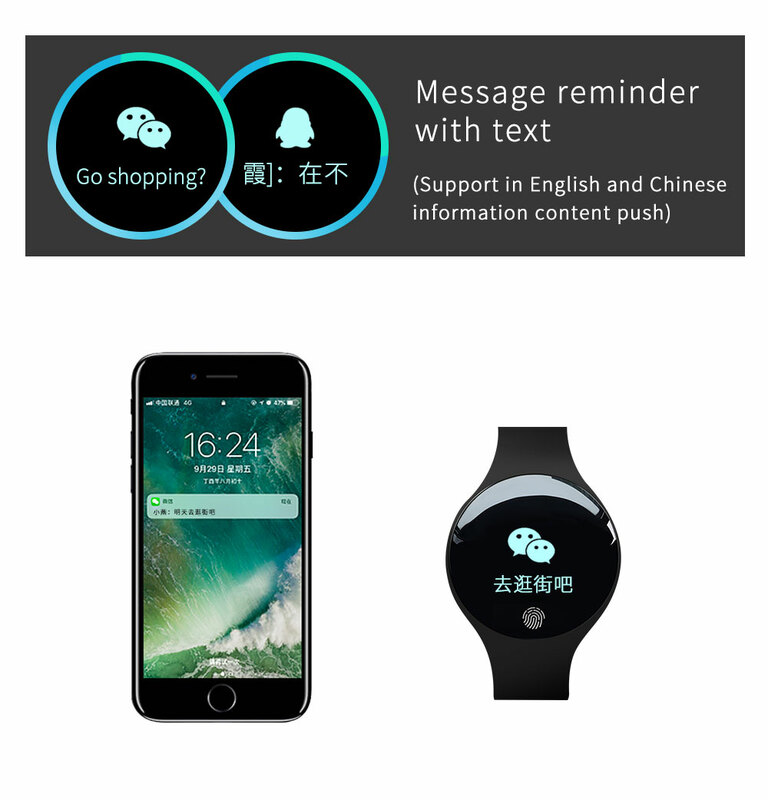 ⑤If you see the bracelet is not connected, try to restart the phone’s Bluetooth. 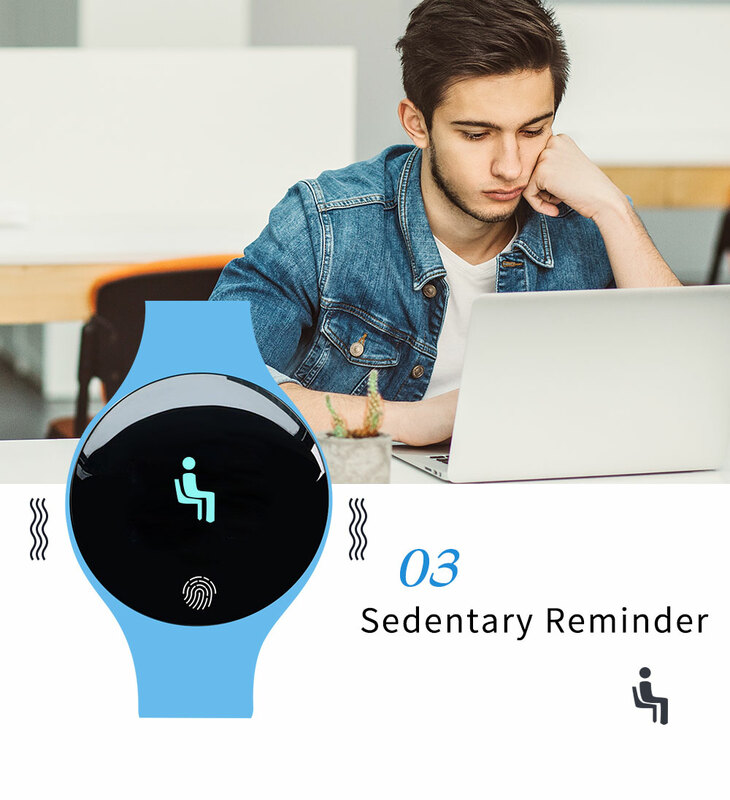 ⑥If you restart the Bluetooth or the connection is not on the phone Bluetooth settings, click ！ into the secondary interface, ignore the device; then enter the App, click on the connection device to try again. 2. Why does watch have no electricity after 3 days? 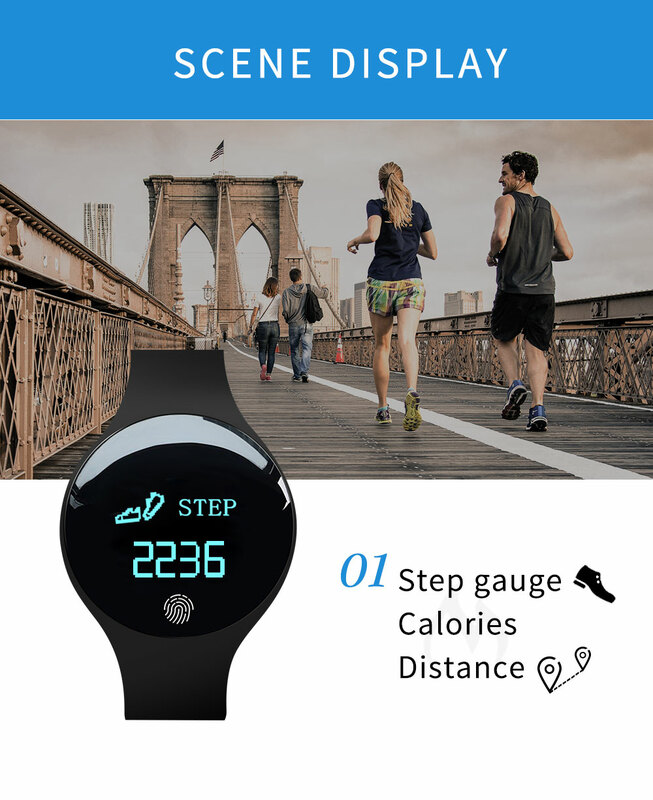 Please be sure to close the heart rate and sleep state detection when the detection is completed, avoiding heart rate and sleep state detection LED long time to open, accelerating the power consumption. 3. 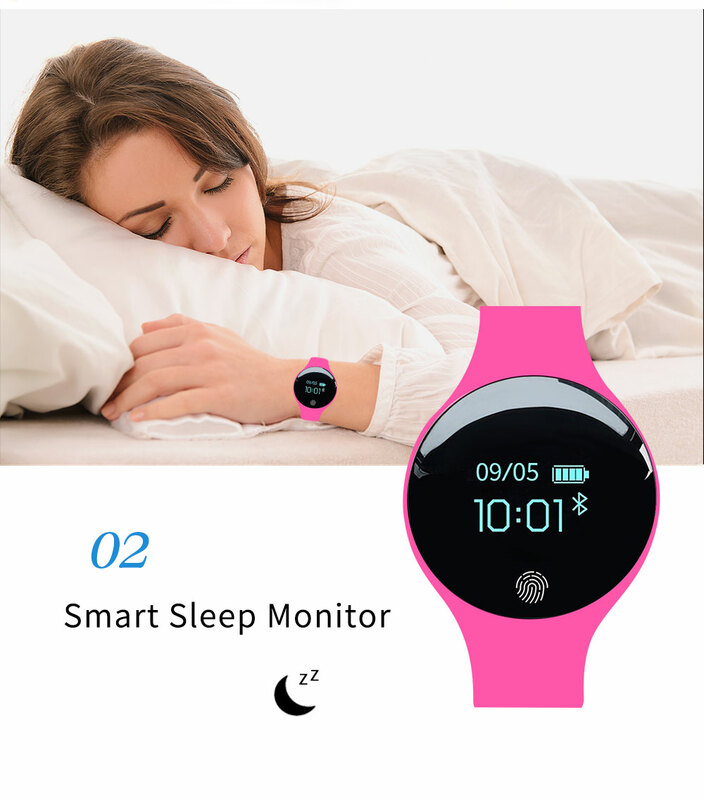 How to monitor sleep? 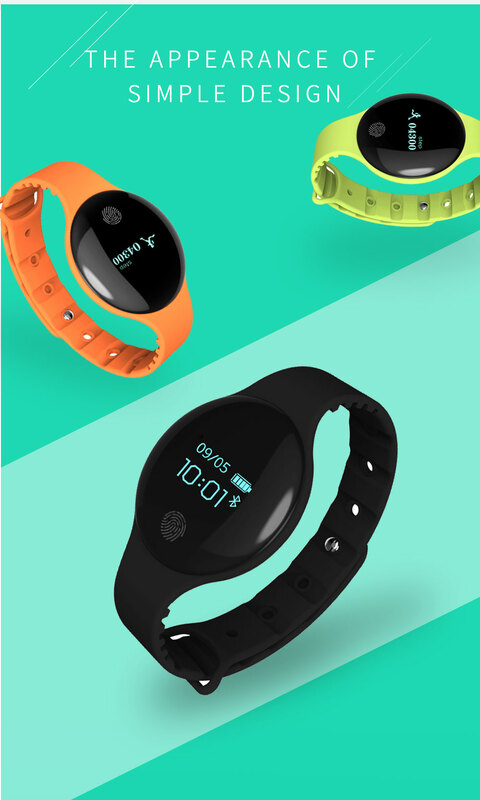 When the user wearing band enters the sleep state at night, the band will automatically switch to the monitoring sleep mode. 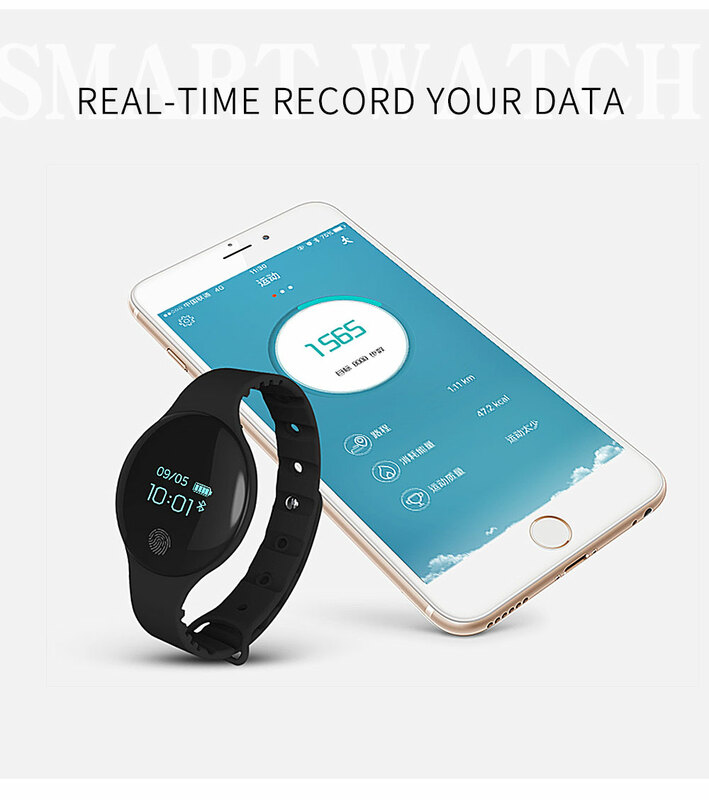 More detailed about sleeping can be viewed through the APP. 4. How to Synchronous Data? 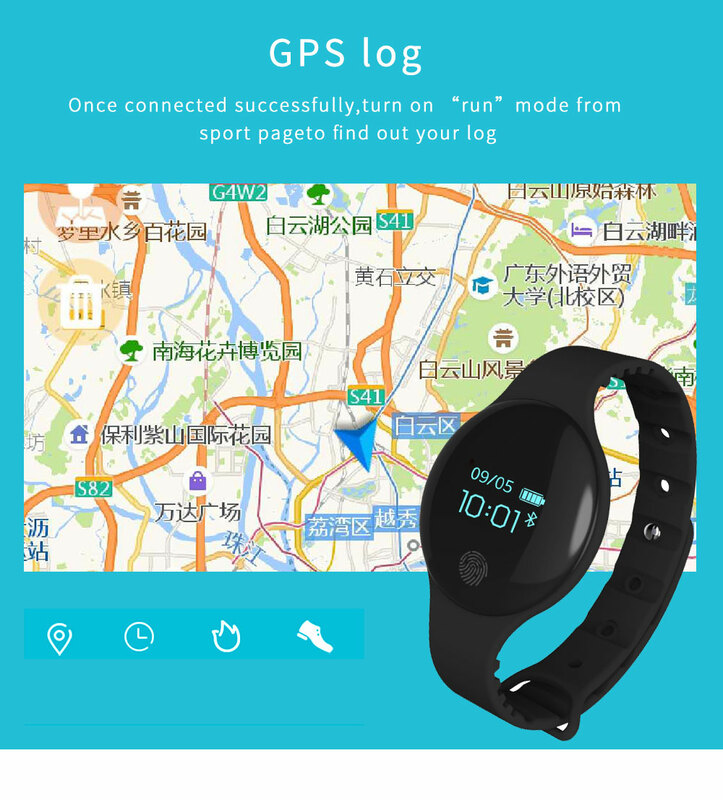 ①Just connecting the band, APK will automatically sync band’stime, personal information, step, sleep data, screen time, sedentary reminder, alarm clock, time system (whether 24 hours), etc. 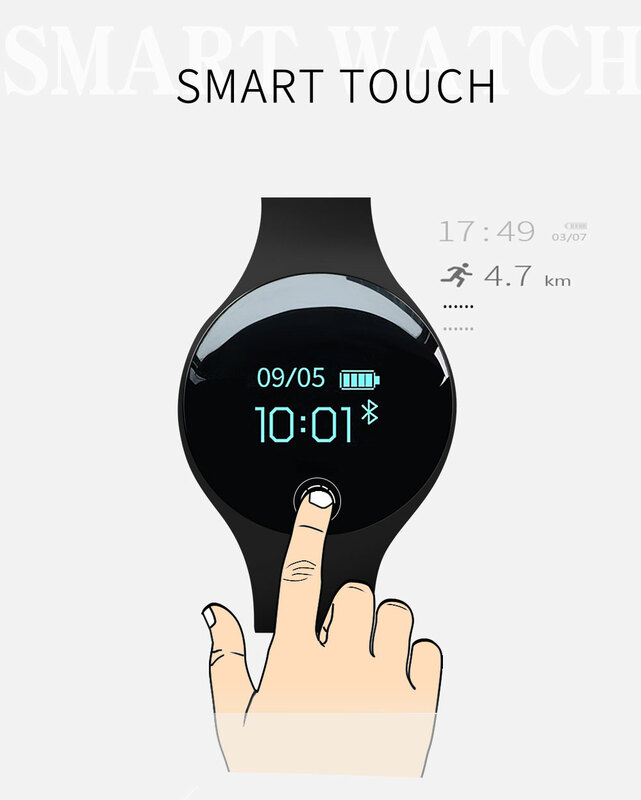 ②Syncs data by pull-down under Exercise, Sleep and Heart Rate interfaces. Warm reminder: Seven days offline-data is saved. The more the data is ,the longer it takes to sync maximum nearly 2 minutes. “Sync finished” will be shown after syncing done. 5.Why can’t some phones scan the device? Some mobile phones cannot scan device because of the system itself, such as Android6.0 system easily appearing this kind of problem. Current solution: Open the phone GPS first, and then re-scan the device. 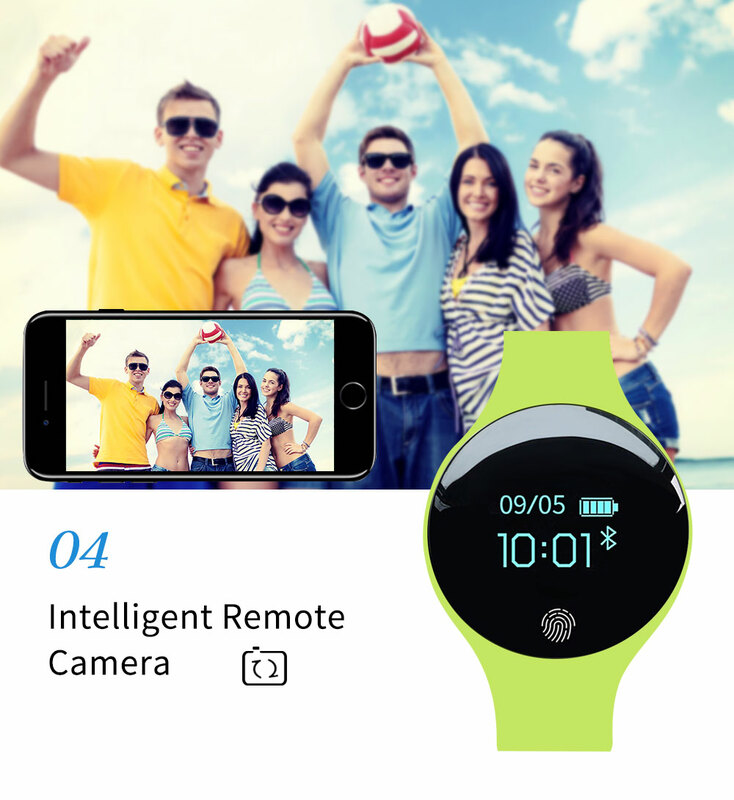 6.Why does “Shake to take a picture” not use? Please allow the app accessing to the camera before you use the camera. If you have other functions that can not be understood or operated, please contact our customer service voluntarily. We will answer them one by one. 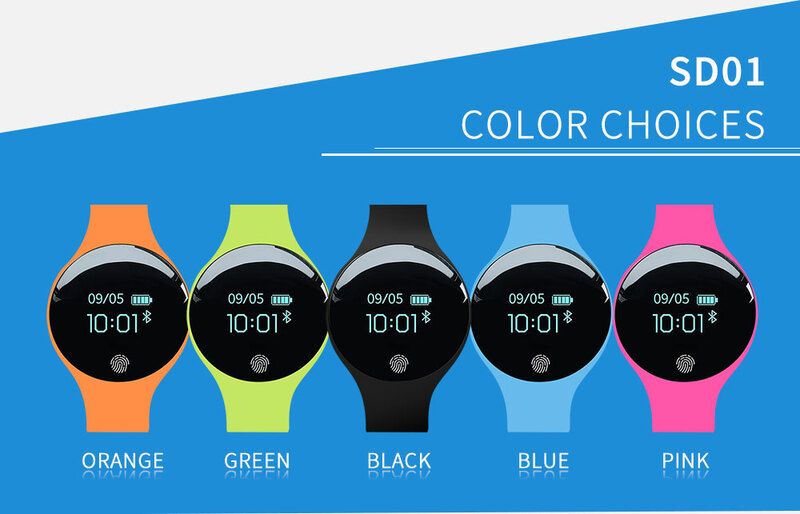 Or you can open the last column “Help” of the “FlagFit” APP, and have more watches guide and function introduction.